I have included affiliate links below. When you purchase through these links, I may receive a small commission. Thank you for supporting this site and our sponsorship of our Compassion child, Samson! 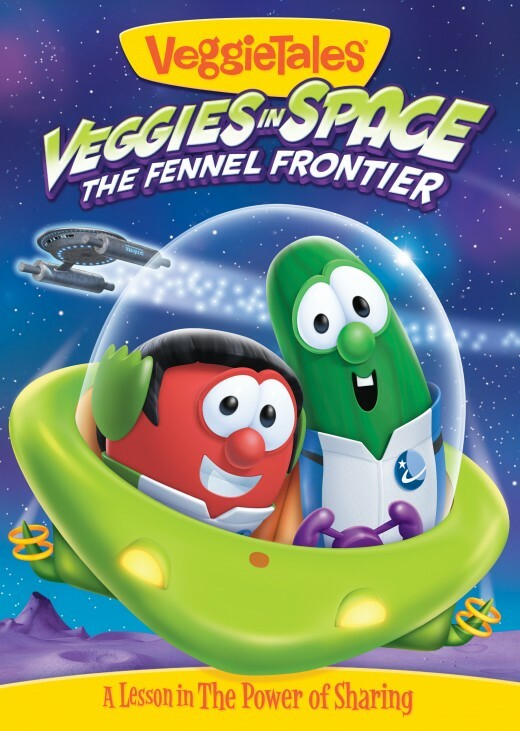 Veggies in Space: The Fennel Frontier is the latest masterpiece from Big Idea, this time with an emphasis on the importance of sharing and lots of references to some of your favorite sci-fi flicks! A Lesson in The Power of Sharing! Join Captain Cuke (Larry the Cucumber) and his loyal first officer, Mr. Spork (Bob the Tomato), as they embark on an out of this world adventure to bravely travel where no Veggie has ever been. 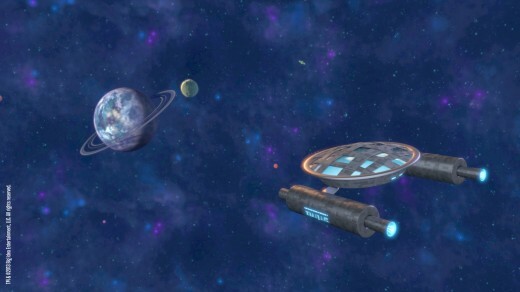 The entire USS Applepie’s crew takes on Luntar the Looter, a power stealing space pirate, but they’re in for a big surprise when they find out what’s motivating him! Veggie Tales always blends a wonderful message with great humor for all, and Veggies in Space does this so well! The boys and I were just in stitches over all of the Star Trek and Star Wars characters and references integrated into this movie! And I don’t have to tell you that all things space made this a big hit with my house of boys! The veggies use a fun play on words to illustrate the sharing of tunics in the movie – you’ll have to catch that! This is such an important verse to keep as a constant reminder in our homes where we almost always have plenty. We’re using this verse as we do some spring cleaning, sharing the more-than-enough toys and clothes with those who have little or none. Watch the movie with your kids and then gather up donations for a local homeless shelter! And check out the family discussion guide to process the movie and its great lessons afterward. I am loving the fact that Veggie Tales is including a great song from a popular Christian artist at the end of each DVD! 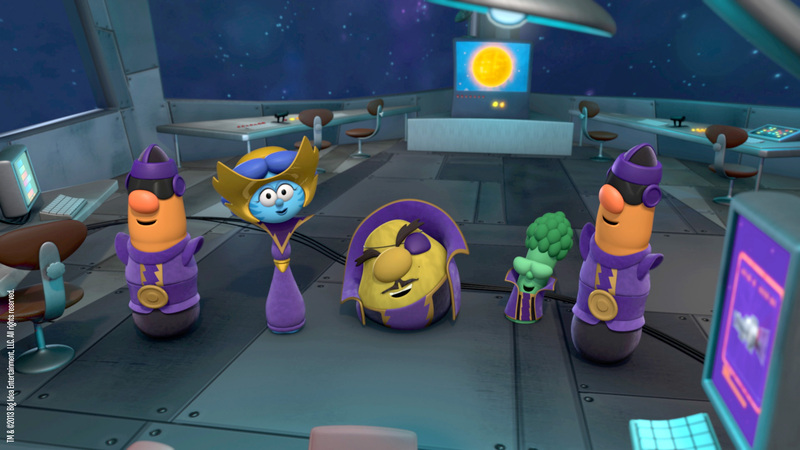 On Veggies in Space, it’s from Jamie Grace and it continues the sharing theme of the movie! 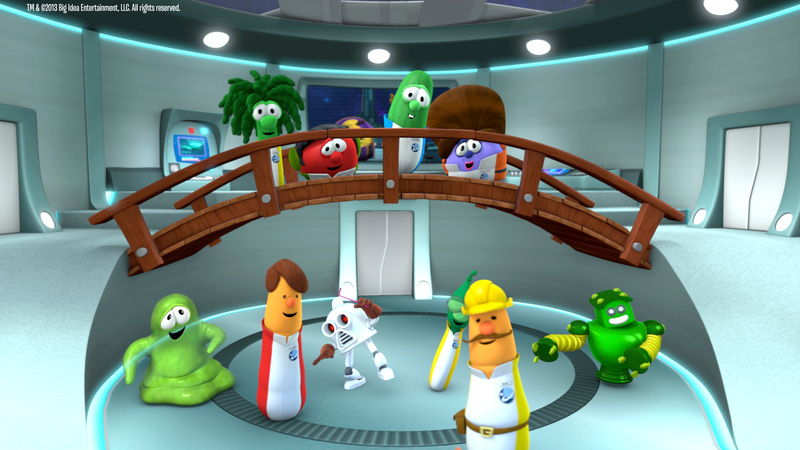 Veggie Tales has TONS of resources to go along with Veggies in Space! Your kids can even build their own spaceship! Check out the Veggies in Space Pinterest board for coloring pages, recipes, activities, and more! *I received this movie to review from Big Idea. I was not compensated in any other way for this post and all opinions are 100% my own.